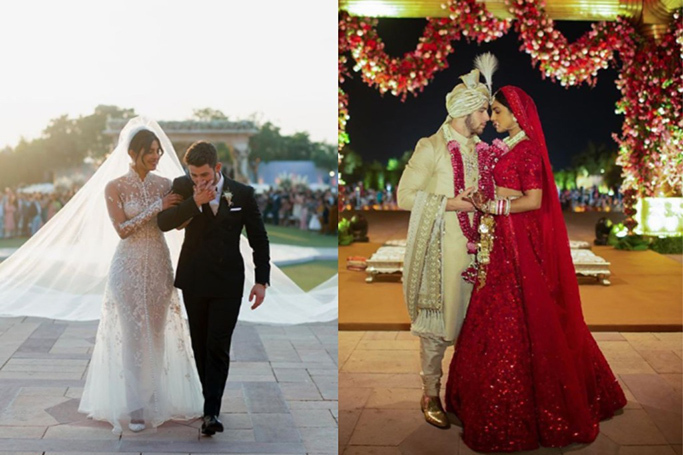 It’s official –Priyanka Chopra and Nick Jonas wed on Saturday in a Christian ceremony, followed by a Hindu ceremony on Sunday. 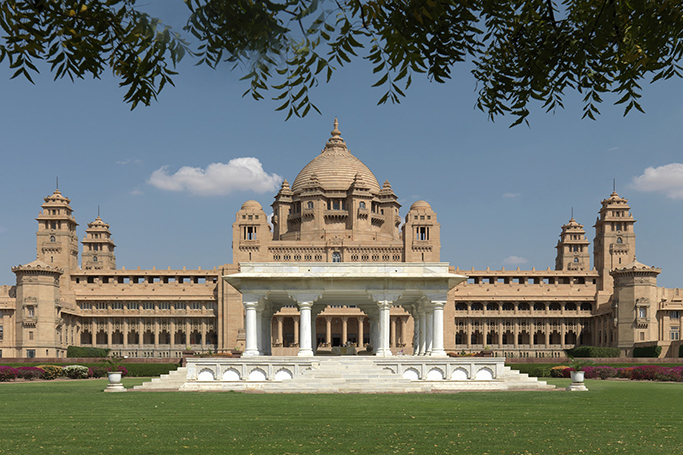 The wedding celebrations took place at the opulent Umaid Bhawan Palace in Jodhpur, India. Although the couple are yet to share photos from their main wedding ceremonies, they have gradually unveiled snaps from the wedding weekend on Instagram –and it looks amazing! Reports that Priyanka Chopra and Nick Jonas will wed over the weekend, appear to be true –let the countdown officially begin! It is believed that the couple will marry at Umaid Bhawan Palace, in Jodhpur, India, and will take part in both Hindu and Christian ceremonies. From lavish locations to sentimental settings, the place where you say ‘I do’ is particularly poignant. Picking the right wedding venue is just as important as the picking the perfect dress –as bride-to-be Priyanka Chopra will surely understand. Still, the Indian actress has everything under control and has a picked a venue to rival all other celebrity venues. Clearly inspired by the royal wedding she attended back in May, Priyanka Chopra will take her forthcoming nuptials in a real-life palace. Priyanka Chopra’s world wedding tour continues with more pre-bridal style. The actress is set to marry Nick Jonas at the end of the month, as the bride-to-be stunned in this white feathered gown at her bachelorette weekend in Amsterdam. According to reports Priyanka Chopra and Nick Jonas could tie the knot as early as 30th November, as the Quantico star continued her pre-wedding celebrations with a fun-filled bachelorette party in Amsterdam. Priyanka Chopra and Nick Jonas are reportedly getting married between 30th November and 2nd December in Jodhpur, as the pre-wedding celebrations are well under way. We all take style tips from our BFF’s –as it seems Priyanka Chopra and Meghan Markle are no different. Spotted in New York, Priyanka Chopra styled a monochrome look that resembled Meghan Markle’s outfit from just a few days before, as despite being thousands of miles apart, the friends are still in (style) sync. Great minds think alike! Priyanka wore a crimson-red silk blouse paired with a leather pencil skirt by Akris, which she accessorised with striking red Stalvey box bag and the perfect red lip. Last night Tiffany & Co. celebrated their Tiffany Blue Book Collection, The Four Seasons of Tiffany, at an exclusive event at Studio 525 in New York. Familiar A-list faces were among the guests, yet we didn’t expect to see Priyanka Chopra and Kim Kardashian West posing for picture together! 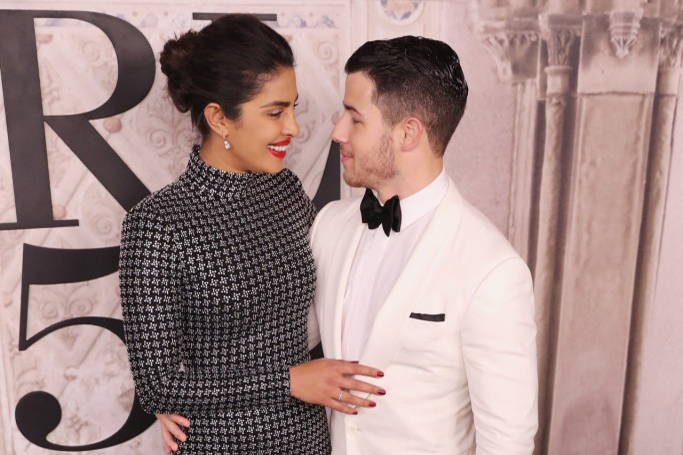 Newly engaged Priyanka Chopra and Nick Jonas had a New York Fashion Week date night on Friday night when they attended Ralph Lauren's 50th anniversary event and show in Central Park. During the event, the couple posed for some seriously loved-up photos –both stylishly dressed in Ralph Lauren, of course. The pair sat front row alongside Blake Lively, Anne Hathaway and Oprah.